Due Diligence is a time period stated in the contract, on average it’s 10 days from when you go under contract, when the buyer can get any and all inspections they want. Buyers need to know what they are buying, and we always recommend buyers get a general home inspection at a minimum. Georgia is a Buyer Beware state which means it is up to the buyer to determine any defects with the property. 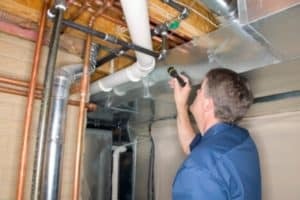 Even if a property is being sold in As-Is condition, the buyer may still get inspections, they simply should not expect for repairs to be made. If they buyer and seller cannot reach an agreement on the items to be repaired during due diligence, the buyer may terminate the contract and get their earnest money back. If you’re thinking about buying a home, The Peters Company has a team of buyer specialists who work with buyers every day. Give us a call!